…and that too was in Spanish. It just went over my head. I was feeling like I was juggling frogs. The rigorous training I received was a great support for me. 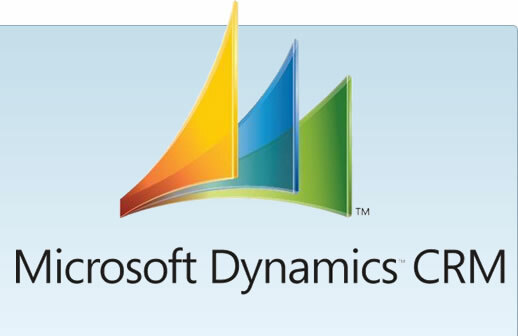 It was hard work and I got myself acquainted with the different components of Dynamics CRM within couple of weeks. I would not have been able to work on the application without the help of my teammates and my lead, who constantly guided me and inspired me. It was as if there were two dozen hands guiding me lest I go wrong. It was complete team work at work. I would like to thank all of them for their help at each and every step. Fortunately, the project was going to introduce me to almost every component of Dynamics CRM, as it was getting migrated from an older version to new. Okay fine…. I said to myself, it was difficult for me because of the foreign language, but this is the positive part, I have the opportunity to learn a great deal from this comprehensive project and I looked forward to it. During the development phase, I faced many difficulties. But who is going to stop me, when I was so inspired by the words of Alan Saporta who had said: “The best way to escape from a problem is to solve it.“, was showing me the path. And yes, as my team says I was in Dot NET domain, so, it is not going to be tough on my part, but I believe they were the only the driving force, who made it easy. Within no time, I was busy in creating the needed components one by one according to the specifications. The work was divided between two other developers including me. Oh, how I forgot our excellent QA team, who also did a marvelous job in digging the system to find all the bugs they could. We as a team completed the job and delivered it to the client, much before time, much to his surprise and delight. 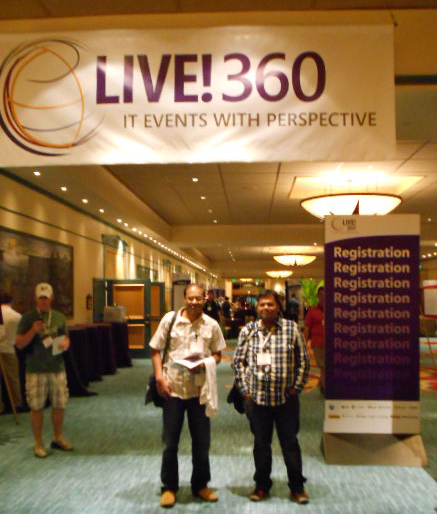 Attending Live 360! Conference in Orlando, FL provided me a great opportunity to learn a lot about Microsoft technologies. Mindfire Solutions has a unique CTC program under which I got the opportunity to attend this international event. It was a 5 day pure technical event where various workshops and sessions on different Microsoft technologies took place. This conference targetted not only Visual Studio track but also various other tracks like SQL server, Cloud etc, so people (speakers/audience) from various roles like developer, DBAs, IT management etc could get together and share experience and knowledge. As a software de veloper, I sometimes attend sessions, seminars, training on specific technology related to my work, to increase my knowledge. This time it was a conference I attended in Bengaluru. OSI Days – 2012, the premier open source conference in Asia, targeted at nurturing and promoting the the open source ecosystem. This was scheduled to be held from 12th-14th October, 2012 at Nimhans convention center, Bengaluru. 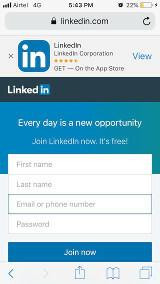 This opportunity was provided by Mindfire. Back in September, I got a mail regarding my name being included in the list of attendees from Mindfire who will be attending the conference. I was very much excited and started looking for the day when I along with other six colleagues will be attending the OSI Days. Completed the work, sent the status and left office early to fly from Bhubaneswar to Bengaluru. As this was the first day of the conference we reached the conference location little earlier. After a short registration process there at the venue we stepped into the Audi 1 where the keynote session was to be given. The conference started with a welcome note followed by the session on usage of Open Source and Commodity Computing in Government projects. Mr. P. Varma, Chief Architect and Technology Adviser to Unique Identification Authority of India(UIDAI – Aadhaar) gave a nice presentation on Commodity Computing and Opensource technologies those are used in one of the large government project in India. It was really interesting to know that the whole project is built upon open-source technologies, open standards and the relational database being used is MySQL. Technology like MongoDB, Hadoop Stack, Hive, Apache Tomcat etc. are used for this big project which handles around 200 trillion biometrics matches per day and 2 Peta Bytes of raw data are being stored. Got to know about different APIs it is providing to banks, financial institutions like eKYC API, Biometric Device API, Biometric SDK API etc. After this, we had a coffee break. After the break, the presentations started to flow in,one by one. The whole day was for Cloud Computing. Speakers from Sify Technolgies, HP, Torry Harries were there to speak about the Cloud. Got overall idea on Public, Private and Hybrid cloud. Mr Lux Rao gave a very good presentation on this. Atul Kumar Jha, speaker from CSS Corp. talked about OpenStack. Openstack is an open source cloud computing platform for creating public and private clouds. Got to know that any organization can create and offer cloud computing services running on standard hardware. First day at the conference was awesome. Food was OK. All the sessions were mostly on Cloud Computing, but sometimes I felt that some speakers were doing a kind of marketing of the cloud solutions they provide. Anyway I have now some idea about what exactly a Cloud is. Day 2 started as usual at the right time. This was a important day as the day was for Web development related topics, on which I work at Mindfire Solutions. Out of the sessions “Off-line Web Applications Using HTML5 Local Storage” was an informative one. HTML5 local storage is a way for web pages to store data inform of key-value pairs locally, within the client web browser. This data persists even after you navigate away from the web site, close your browser tab, exit your browser. Unlike cookies, this data is never transmitted to the remote web server (unless you go out of your way to send it manually). The speaker Mr. Janardan Revuru, Project Manager, HP, Bengaluru demonstrated this with some simple examples. Session on “Test Driven Development And Automation” by Mahesh Salaria from Kayako.com was another good sessions. He gave an overall idea on TDD by providing some lights on the tools that are being used for the TDD and automation like PHPUnit, Selenium, Code Sniffer, xDebug, NetBeans, PHPStrom etc.. Jacob Singh, Director, Acquia India gave a talk on “Drupal Revolution and the Enterprise projects”. Role of Acquia in training people to take-up Drupal to next level and how Drupal is being used in enterprise projects were discussed by him. Also got to know about “Typescript”, “REST Applications With The Slim Micro-Framework”. The Database Day: Speakers from Oracle talked about MySql new developments and new features. This was really informative. MySQL Cluster, MySQL Performance Schema techniques etc were discussed. Speaker from Cloudera solution gave a presentation on HBase. Hadoop Ecosystem was also discussed by Vaitheeshwar Ramachandran from TCS. 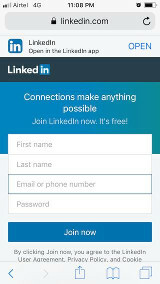 I gained some knowledge on bigdata trends on which I was completely unknown. This was the last day of the conference. I with my colleagues also talked to the representatives from companies like Oracle, PostGreSQL Enterprise DB, Microsoft India who were having stalls at the conference. Overall the conference was informative. Attending the OSI conference was very valuable for me as I got to know about many Open Source technologies that are being used or the future of Open Source. Thank you Mindfire for giving me this opportunity to attend OSI 2012.